If you’re like me you will be very conscious about what you feed your baby and the effect it can have on their health. Good nutrition is key to your baby’s development. Feeding your child a natural wholefood diet will set them up for life by providing the best foundation possible for their health and learning. Baby’s first birthday or Christmas is an incredibly exciting time. The temptation to introduce artificially sweet foods may be high but these could lead to your baby developing a taste for sugar and can cause tooth decay. Feeding your baby natural foods will ensure that no artificial sweeteners, colours, preservatives or additives are consumed, all of which have adverse health effects. You can celebrate baby’s special day with a healthy cake that is naturally sweet and contains no added sugar. The main ingredients of this healthy first birthday cake or Christmas celebration cake are bananas and apples which are both sweet and good for baby. The fruit in this cake makes it really moist so it’s perfect for babies to eat. Bananas are rich in potassium, a mineral that is necessary for normal growth, metabolising carbohydrates and promoting mental alertness by helping to deliver oxygen to the brain. Apples are very nutritious and provide a good source of vitamins A and B1 as well as being rich in pectin, a soluble fibre that helps to slow glucose absorption. 1. Preheat the oven to 180 C. Grease a cake tin or line with baking paper. 2. Wash and grate the apples (peel if desired). 3. 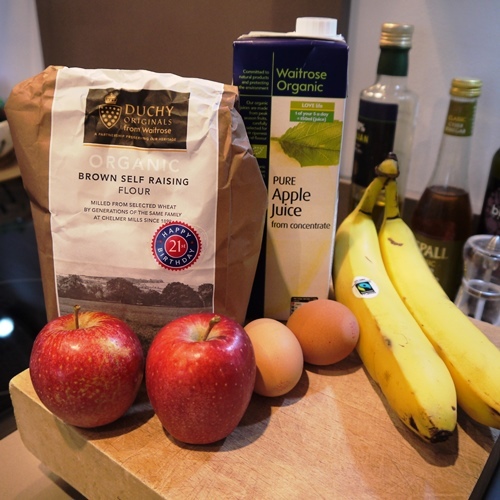 Mash the banana in a bowl, add the grated apple with the apple juice and mix together. 4. Add the vegetable oil and stir into the mashed banana and apple. 5. Add the eggs and mix well. 6. Gently stir in the flour and cinnamon. 7. Bake at 180 C for 25 minutes or until a cake skewer inserted in the middle comes out clean. 8. Remove from the cake tin and leave to cool on a wire rack. 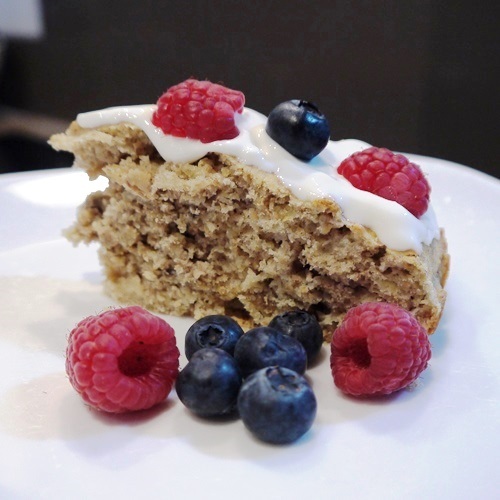 This cake is delicious on its own or it can be served with chopped fresh berries and drizzled with natural yoghurt. Discovering and eating new healthy foods is also a great way to engage your baby in sensory play. Baby will love breaking this soft cake up in their fingers. There’s no doubt it will be smashed and squeezed before being eaten, it’s all part of the fun! 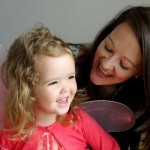 This article was published in the December 2013 edition of Mummy and Me Magazine. I offer one to one nutrition programmes for breastfeeding, post pregnancy weight loss, weaning advice, weight management and health. Contact me. 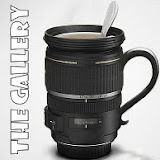 This week’s theme for the Photo Gallery on the Sticky Fingers blog is Green. These two images distinctly stand out in my mind when I think of this beautiful and natural colour. 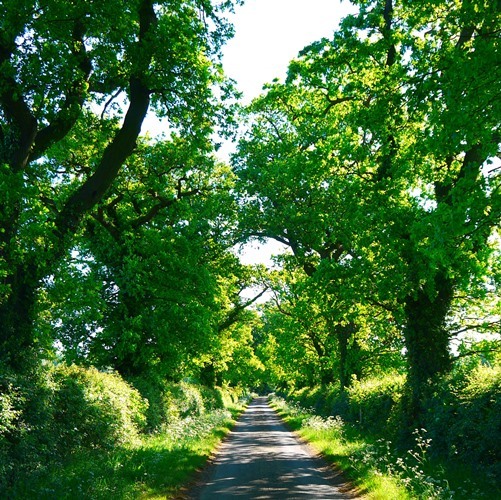 The pretty green lane we wandered down when we were on holiday in Suffolk in 2011. 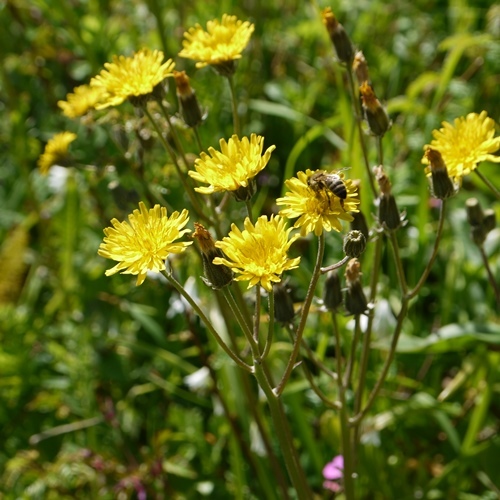 The photograph I took of a bee on dandelion flowers in Brittany this year. As a parent I count my blessings each time I get a full night’s sleep, it’s enough to make me want to jump out of bed with joy in the morning. If my toddler doesn’t wake me then I’m usually lucky enough to sleep through the night. But on occasion when I just can’t drift into a slumber, whether for reasons of stress or just a plain old inability to sleep, I turn to natural foods to assist. There are some simply brilliant foods to help induce Zzz’s. These foods contain tryptophan which converts to serotonin and melatonin, the brain’s key calming chemicals. Serotonin promotes calm and melatonin helps to cause drowsiness and lower body temperature for a restful sleep. The perfect package for shut-eye. I recommend trying one or two of these foods 90 minutes before you plan to close your eyes so your digestive system has time to process what you eat before slumber. It’s always a good idea to avoid caffeine and alcohol at least four hours before sleep and don’t go to bed when you’re either hungry or full as this will contribute to a disrupted night’s sleep. 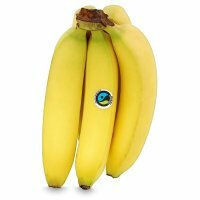 High in serotonin and melatonin, bananas also contain potassium and magnesium which is a muscle relaxant. A small bowl of oatmeal contains melatonin and complex carbohydrates which can help more tryptophan get into the brain. Topped with some warm milk this is a healthy source of comfort food and if you’re slightly peckish it will keep those hunger pangs at bay. A handful of almonds contains tryptophan and magnesium to relax muscles. Low-fat cottage cheese contains tryptophan and is a lean source of protein that will help keep your blood sugar regulated throughout the night. Known for their mood lifting properties. 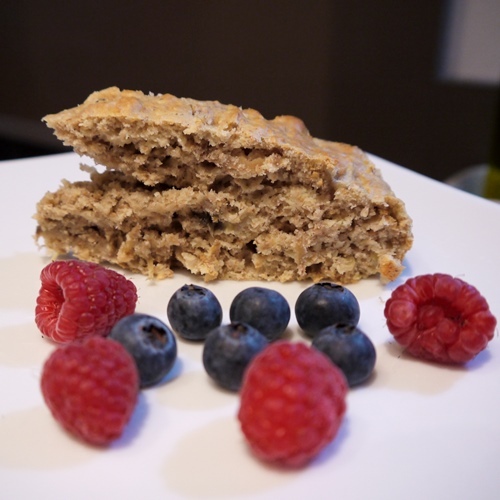 Sprinkle a couple of teaspoons of flaxseed on a small bowl of oatmeal or on a portion of low-fat cottage cheese. If you feel like a warm drink before bed a cup of chamomile tea can help to promote calm thanks to chamomile’s natural soothing properties. If you want something a little richer a glass of warm milk contains tryptophan and calcium, known to reduce stress and stabilise nerve fibres. Take your pick from these Top 5 Foods and see what works best for you. Most importantly, don’t stress about not sleeping. Having a regular routine before bed will help to get your mind and body in the mood for sleep. A warm bath with some relaxing aromatherapy oils and reading a good book before bed contribute to winding down and preparing for rest.